The Women’s Basketball Hall of Fame Board of Directors selects teams/leagues to be inducted into the Women’s Basketball Hall of Fame. Selection is based on defined qualifications. 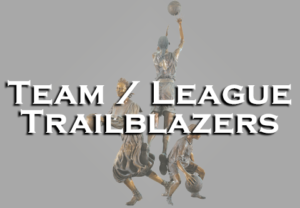 In order to be considered for selection in the team or league / trailblazer category, the team or league must meet the following TWO requirements. * This designation is not required to be awarded annually. 2. High winning percentage or winning streak over an extended period of time.